1987 Alfa Romero Graduate for sale in Grants Pass Oregon 97526 . 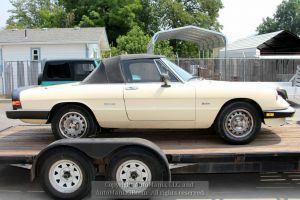 Sports Car for sale. 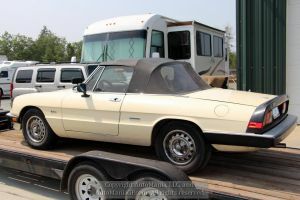 We recently were called to consign a motorcycle locally and during our visit, saw several cars that were stored in the garage with the bike. 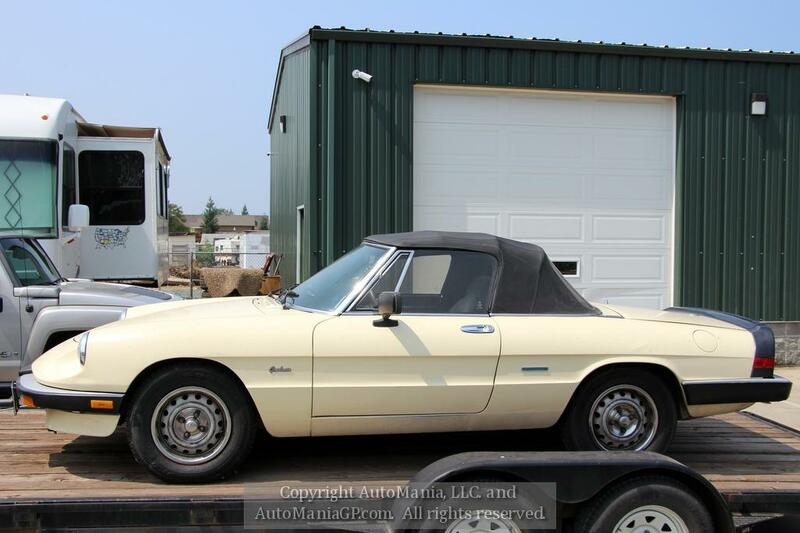 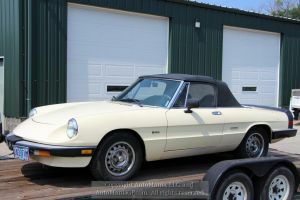 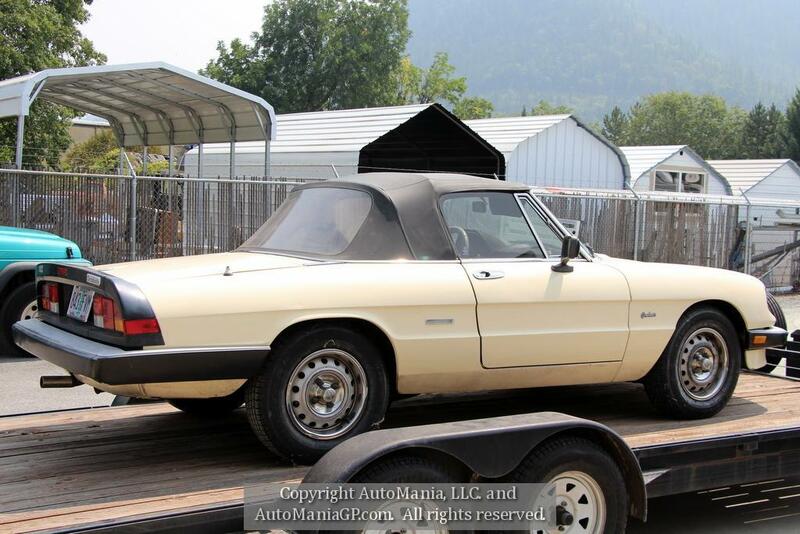 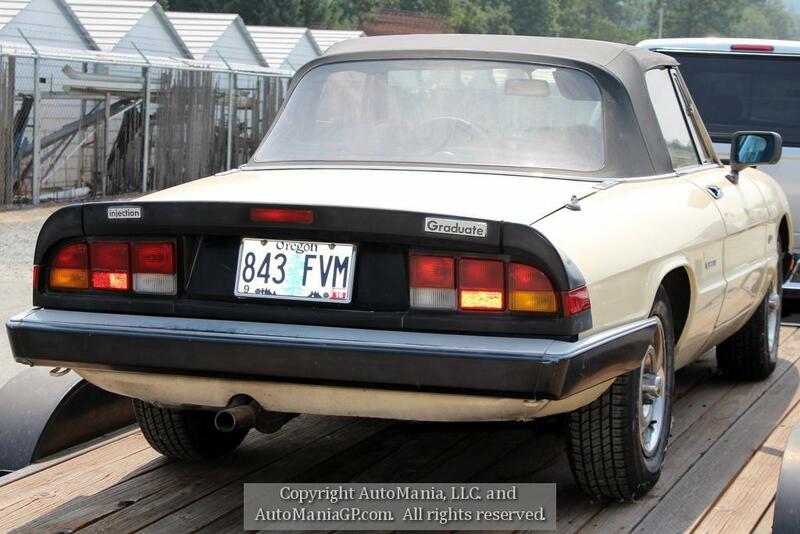 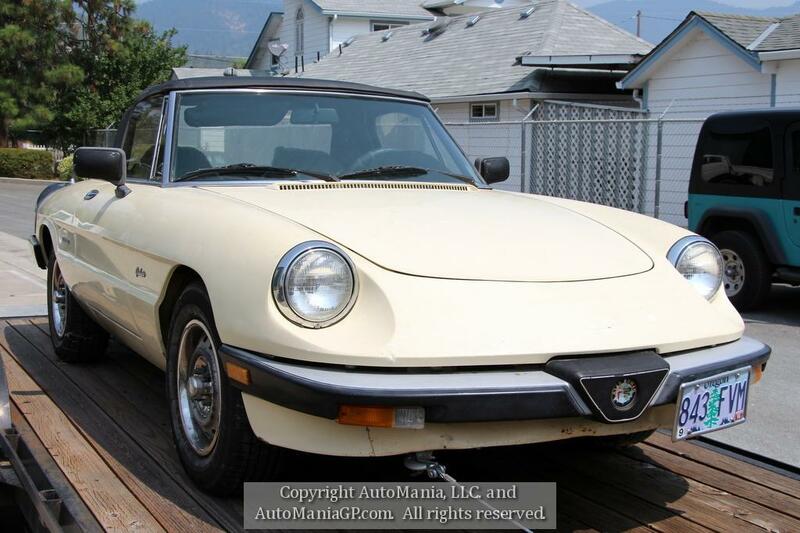 This 1987 Alfa Romeo Graduate Spyder was last registered in 2016 and was parked until medical issues interfered with working on it. 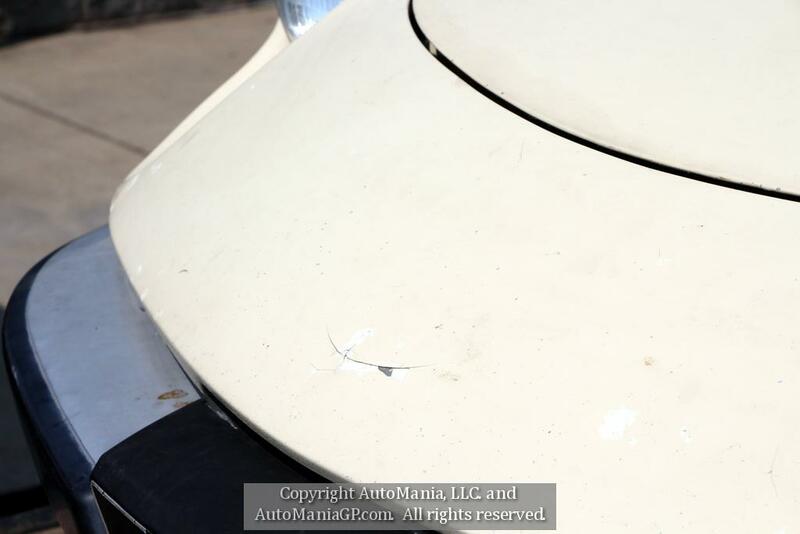 The car was covered by a sheet and the battery was out, tires were low but it was pretty much all there with no visible signs of rust or impact. The paint has some marks in it with some repaints along the way. 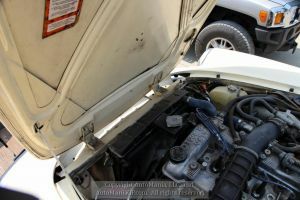 We have not attempted to start the car. 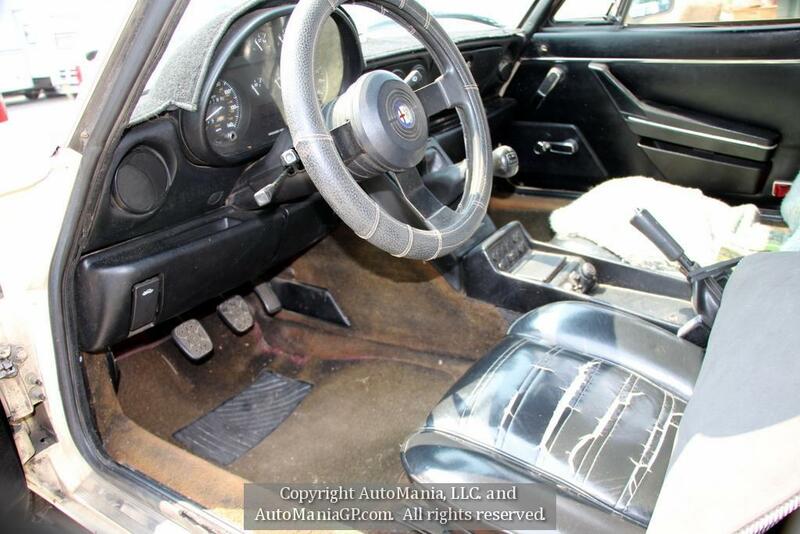 The interior is pretty well worn out, but the top looks in good order. 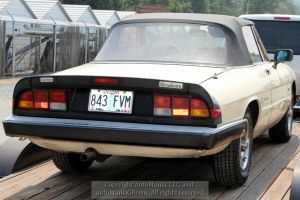 It is hard to tell, but most of the paint looks original but it is badly faded. 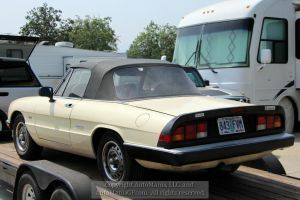 The owner bought the car in San Francisco many years ago and drove it regularly up to the point of parking it. 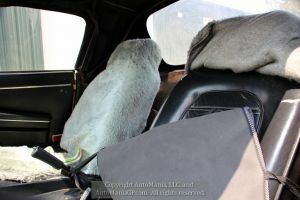 We know nothing about the condition of the car except the brakes work. Tires look to have a lot of tread but I do not know how old they are. 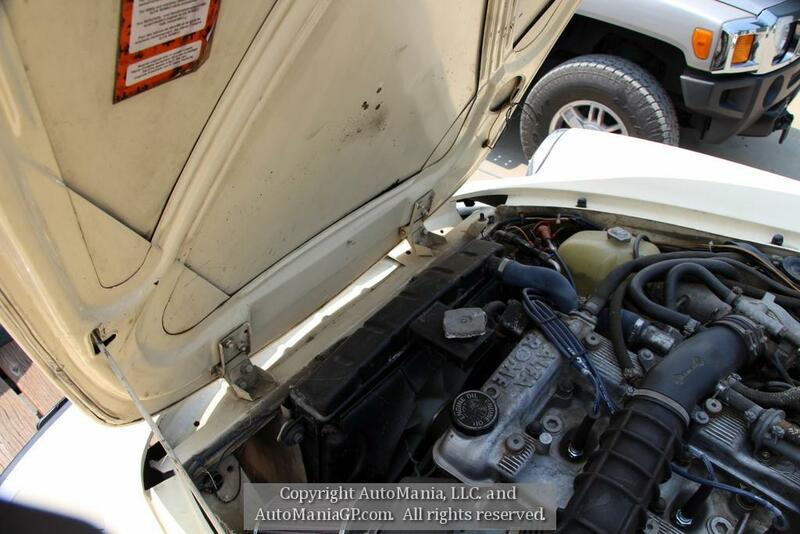 Miles are unknown and the VIN# ZARBA564XH1045424. For other interesting bikes and collectable vehicles, visit our web site http://www.automaniagp.com 541 479 8888 or come by and see us at 895 SE Gladiola Drive, Grants Pass, Oregon, 97526. Oregon Dealer DA1287. 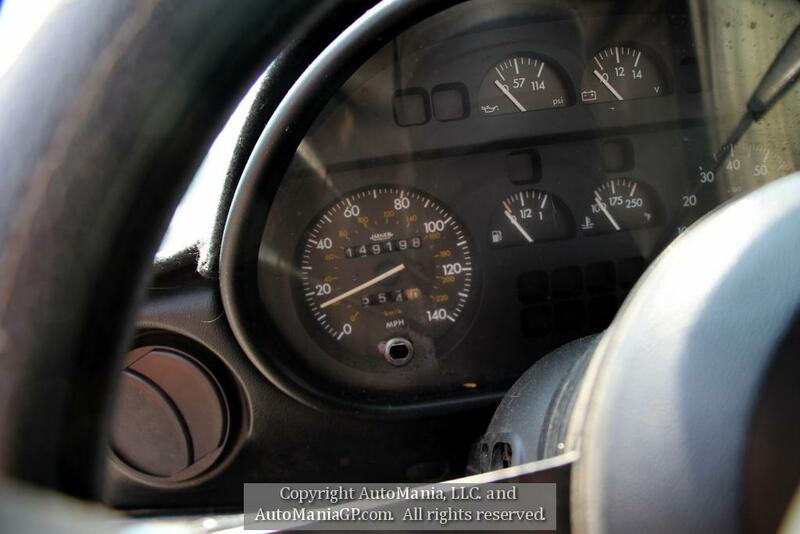 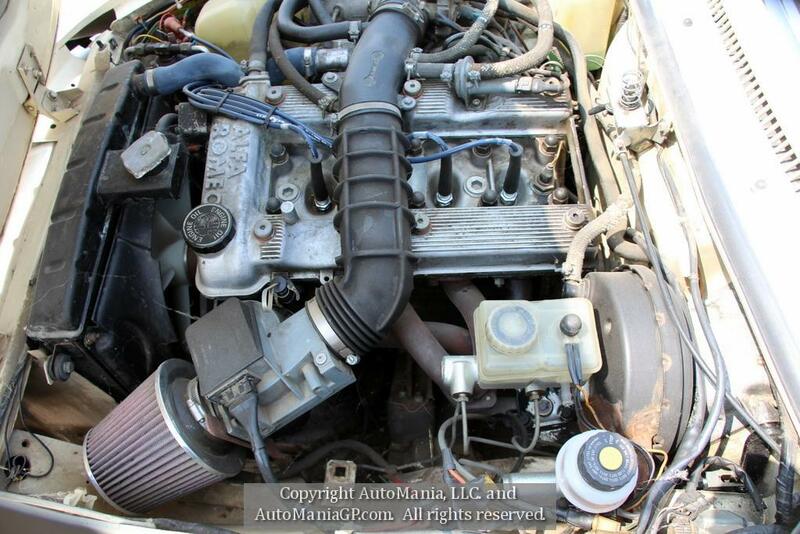 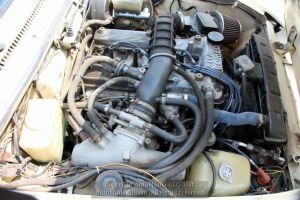 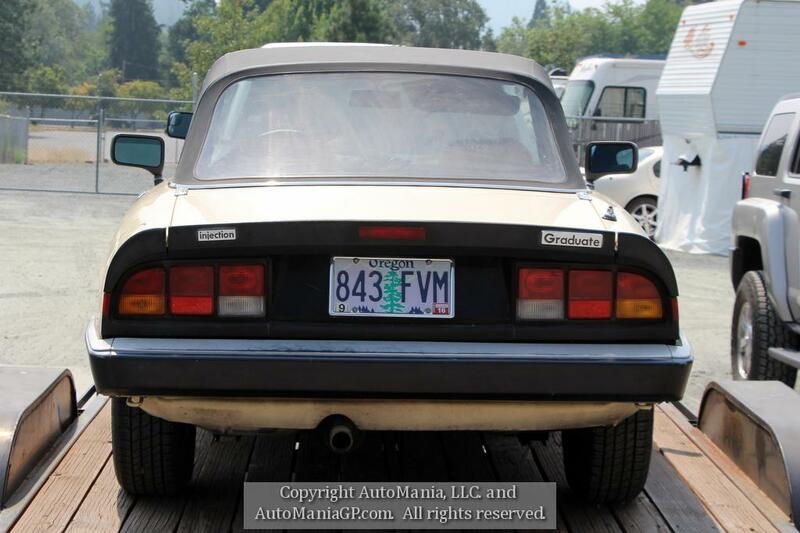 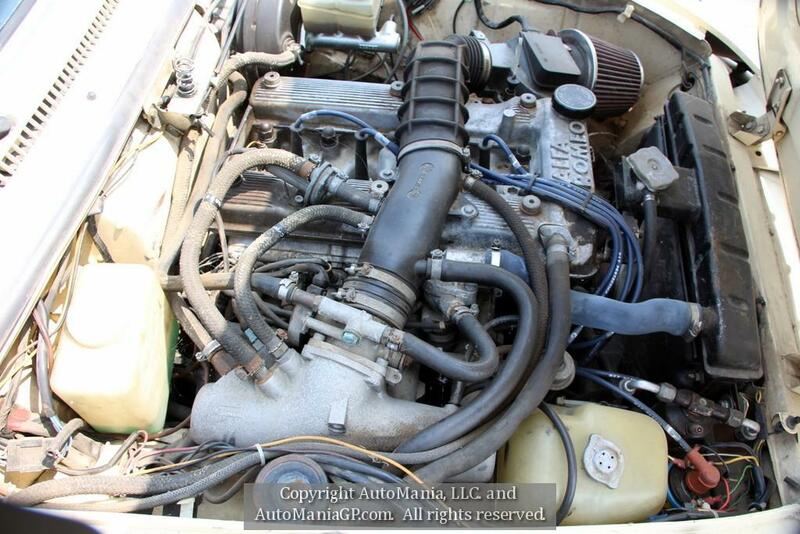 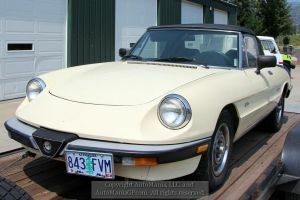 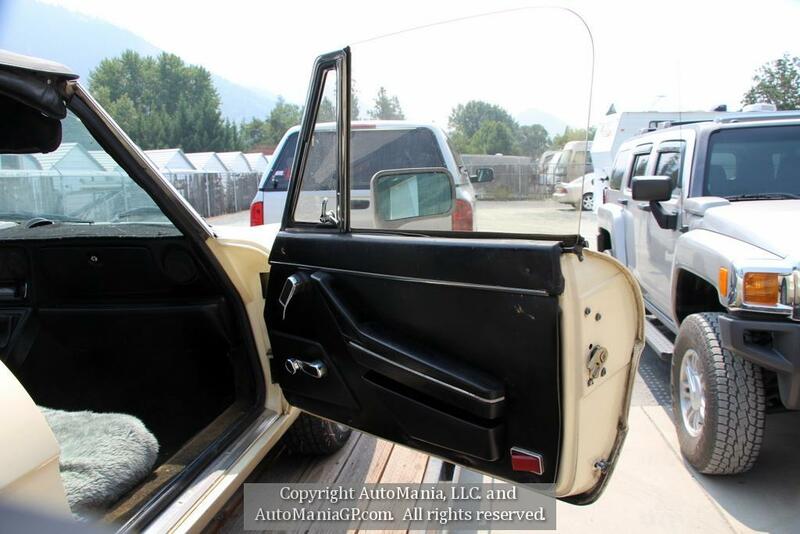 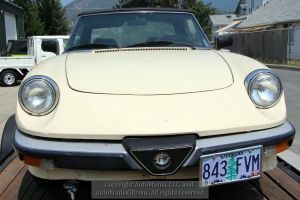 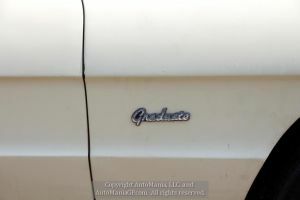 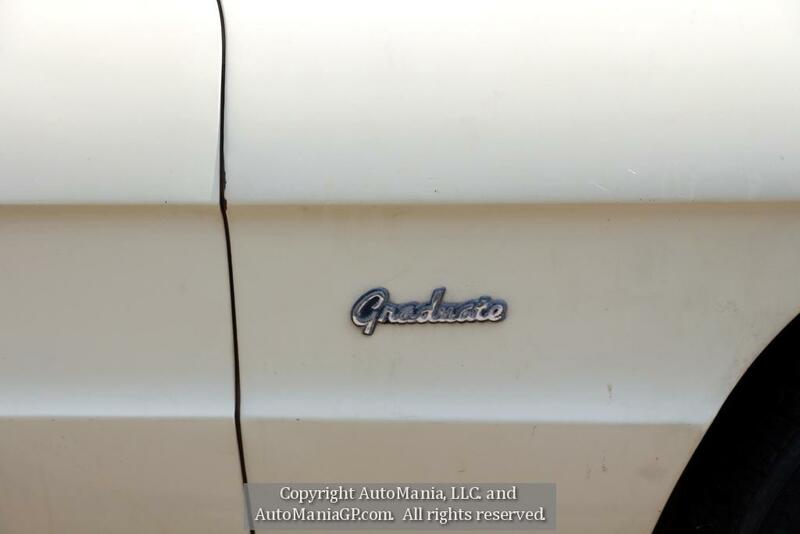 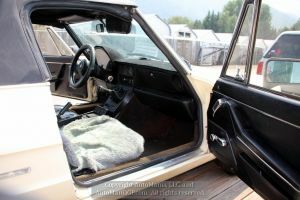 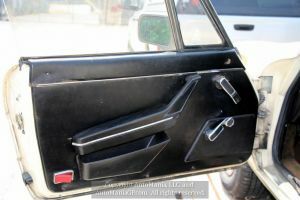 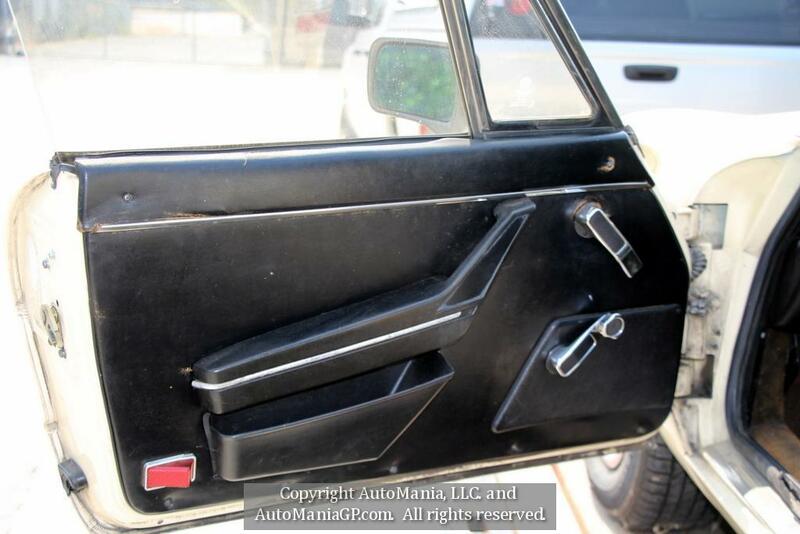 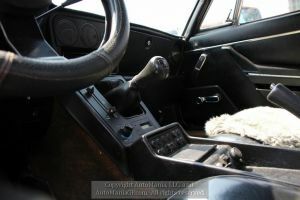 You are viewing a listing for a 1987 Alfa Romero Graduate for sale in Grants Pass Oregon 97526 on AutoManiaGP.com. We encourage you to contact us by phone, email or text to get more details and how to purchase the unit.